Neuro-Explorer (Nex Technologies) is a powerful and feature rich software tool used for analyzing single unit extracellular neurophysiology data. Range of recommended and complementary accessories to support successful telemetry implantation. Starter kits contain all the necessary and complementary accessories for your chosen implants to support successful telemetry implantation. 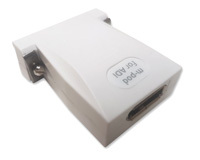 The Cedrus m-Pod connects a Cedrus Stimtracker (Duo or Quad) or a Response Pad (MLE134X) to a PowerLab data acquisition system.